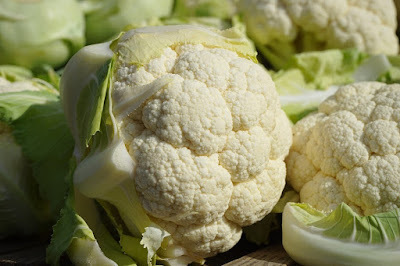 Cauliflower is one of the popular white flowering vegetables. Health benefits of cauliflower are getting more extensive attention and people are identifying the many health benefits. Cauliflowers can be consumed in many ways. It can be eaten as raw and cooked to add to your diet. Its significant health benefits have encouraged its demand. To maintain the healthy body its importance is exceptional. Cauliflower health benefits start with the high amount of vitamins and minerals it includes. Cauliflower contains a high amount of vitamin C, vitamin K, folate, vitamin E, and B complex vitamins. It also contains important minerals like magnesium, calcium, potassium, phosphorous, sodium and iron. Below is the list of health benefits of cauliflower which all of you should know. Cauliflower includes a sulfur compound which is called sulforaphane. Its specialty is this compound can reduce cancer stem cells. Not only this but also it prevents tumor development that lowers the cancer risk and basically keeps the body safe from different types of cancer like ovarian, prostate, and breast. The same compound sulforaphane found in cauliflower protects the cardiovascular system by its capability to withstand the harm of blood vessels. It is considered good for blood pressure, kidney function and DNA methylation. Cauliflower also has allicin that reduces the possibility of having heart diseases and stroke. 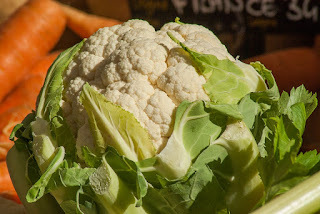 Cauliflowers are high in dietary fiber that improves the digestive system. Also, glucoraphanin prevents the stomach from the growth of ulcer and cancer. Moreover, sulforaphane protects the lining of the stomach and increases digestive power. Cauliflowers are rich in vitamin C. It aids to burn fat, so it is a very important vegetable in losing weight. Cauliflowers are nonstarchy low-calorie vegetables which have another content named folate also encourages to lose weight. Cauliflower is loaded vitamin C and it has a key role in the growth of collagen that safeguards the bones from inflammatory damage. As well as vitamin K found in cauliflower may aid in protecting bone loss in both genders. Cauliflower contains antioxidants and also immune-strengthening nutrients. Also, cauliflower has many healthy nutrients. Among them, vitamin C is one of the important that prevents numerous infections and make strong the defense mechanisms of the body by reducing the development of disease-causing inflammation. Consuming cauliflower frequently provides health benefit by decreasing the risk of diabetes because it contains vitamin C and potassium. With the help of potassium, it regulates glucose metabolism. Pancreas also use it for secreting the insulin hormone fight against high blood sugar in our body.